For the past decade or so, most of the label software companies have released upgrades that simply offer bug fixes, patches, or more features. The recent release of NiceLabel 2017 has changed all of that. This software package has been rebuilt from the ground up; no more old platforms that have been patched and laced-up with features. The 64-bit architecture makes this a solid, reliable solution for Windows operating systems. 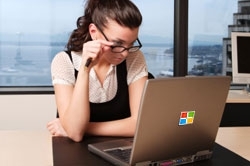 The interface will be familiar to anyone who has used Microsoft Office, and the wizards make setup a snap for novice users. Since I’ve gotten used to the various other software packages over the past 20 years, there was a bit of a learning curve for me with NiceLabel 2017, mainly because of the way I am used to setting up label formats, and not knowing how to utilize the new features at hand. Most database fields are now really drag and drop; no more having to set individual parameters. Technology has enabled the developers to present a label software tool that to me seems a bit more like an Apple product—they really want to make the user experience streamlined and simple. While IT is not really required for basic set-up, advanced applications most likely will require some form of support. Most of the features that are built into this package perform all of the heavy lifting expected from both beginning users, prior users of other packages, and application developers. IT managers and application developers are discovering that when it comes to their label printing and management, there is no more need to reinvent the wheel, because NiceLabel already has done that work. It is the forms features and scalability that really sets NiceLabel 2017 apart from the pack. 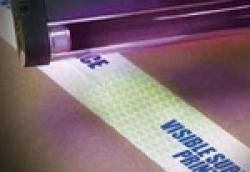 User interface screens can dynamically be customized, configured, and presented to the operator in ways that can reduce or negate printing mistakes, including touch screen options. Companies can start out with an entry level package, then later perhaps implement web printing across their scattered locations. Here is one example of the power of web printing: A company with 50 locations around the US is now able to update some data in a central database, then have each location have role based, secure access to the updated database, and each location can print labels with the updated data. All within seconds. Even if you have been locked into a software package where you may have hundreds of label formats that have been created over the years, the use of databases, and certain operator prompts at print time, can help alleviate this transition to a new system. In addition, the Automation version will let you integrate and automate printing from existing business systems, without having to perform any programming or coding. 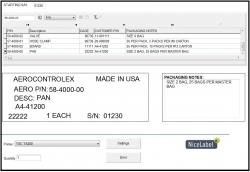 In addition, this next-generation label design software enables users to design, maintain, and manage customer specific and regulatory compliant label templates. NiceLabel 2017 is most certainly worth the free trial download and is the obvious path forward for those who don’t want to compromise their label printing and label management requirements. 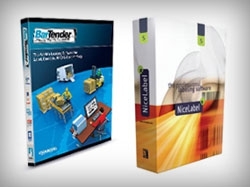 Contact RighterTrack, your trusted NiceLabel Partner, to see how your label printing process can be improved today.